We share the following job announcements from our community. If you have an announcement you’d like us to consider posting, email Ann. Wallingford United Methodist Church is a church of 150-200 members and friends that celebrates diversity, affirms the inclusiveness of God, and actively works for peace and justice locally and globally. They seek to minister with all people, regardless of race/ethnicity, socio-economic status or sexual/affectional orientation. They affirm that everyone is a person of sacred worth. Wallingford UMC is looking for enthusiastic and progressive Christian person(s) with passion for working with youth. Director of Youth Ministry and Director of Children’s Ministry. Each 15 hours per week, including evening and weekend responsibilities. The two jobs may be combined to create one 30-hour job if the candidate wishes to apply for both positions. A combined job would also be given a stipend towards health insurance. University Congregational UCC is a large, dynamic, progressive church in the University District of Seattle, WA. They are seeking a Director of Children’s Ministry to engage and support the spiritual growth of their 100+ children, ages 0-11 years-old, and their families. Preferred background, experiences include: teaching, church leadership, seminary training. 30 – 35 hours/week, including Sunday mornings. Queen Anne Lutheran Church is a welcoming congregation of the ELCA that seeks to make known the love of God in Jesus Christ. They serve the community of Queen Anne, Seattle. Average weekly attendance in worship is approximately 100, with two services. They have a small but vital, committed and growing group of Sunday School families. Children range from 0 – 10 years old, and currently 5-10 kids are involved in their educational programming. 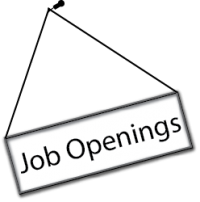 QALC seeks an enthusiastic, grace-centered individual to lead their Sunday School program. Children’s Ministry Coordinator. 10 hours a week. Submittals will be reviewed beginning August 1, 2017, with the intention of hiring by September 1, 2017.